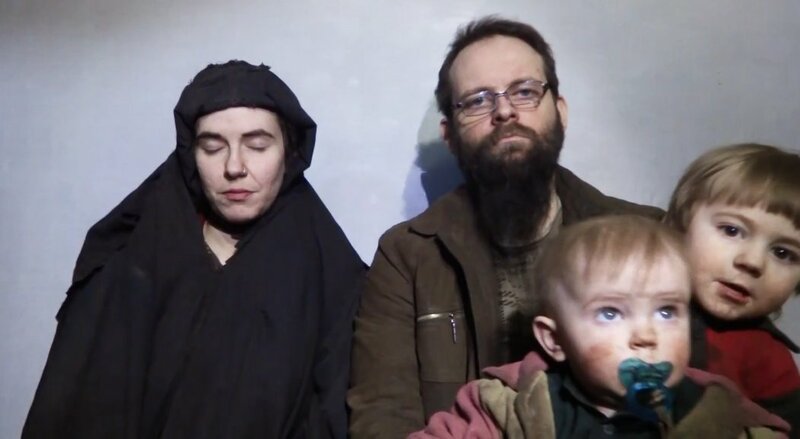 Islamic Emirate of Afghanistan (Taliban) have released a video via Sabiq Jihadmal that shows hostages Caitlin Coleman (31) from Pennsylvania and husband Joshua Boyle (33) of Toronto, Canada delivering an urgent message allegedly on 3rd December 2016 to the governments of US and Canada. The couple’s two young children also appear for the first time in public view, both boys were born in captivity. The eldest is seen giggling as he appears to be distracted by something off camera. This is one of a series of statements highlighting alleged regime abuses against prisoners also documented in numerous reports from international human rights organizations. Islamic Emirate also published a letter from the families of detainees to the UN and Secretary General of NATO concerning appalling treatment of detainees. Anas Haqqani and Qari Abdul Rashid Omari (a.k.a. Hafiz Rashid). NDS photos via Khaama Press. 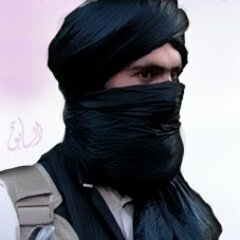 As Long War Journal reported in September, Taliban threatened blood would be spilled if Anas Haqqani, the brother of the group’s deputy emir who is also the operational leader of the Haqqani Network was executed. Coleman makes it clear that if this is not addressed and demands not met, the family face retaliation, harm and punishment. “Today is December 3rd 2016. We have waited since 2012 for somebody to understand our problems. This is a Kafkaesque nightmare in which we find ourselves. We understand both sides hate us and are content to leave us and our two surviving children in these problems but we can only ask and pray that somebody will recognize the atrocities these men carry out against us as so called retaliation in their ingratitude and hypocrisy. My children have seen their mother defiled. We ask quickly in our collective 14th year of prison, urge the government on both sides to reach some agreement to allow us freedom. Obama your legacy on leaving office is probably important to you and our lives and these of our children are to us so please don’t become the next Jimmy Carter so give the offender something so they and you can save face and leave the region permanently. Donald Trump, the legacy of a millenia of femen worship in this country is that those who speak high and noble of Islamic ideals are not simply going to release our family easily because it is correct, they want money, power, friends, you must give them these things before progress can be made. A 5 year hostage taking is too long and indicates failure on every side. Believe us, we have tried to explain the irony and sin to these men but to no avail. “And to whichever state department official has to watch this video, we both know the President is not going to see it or the coming President and that the decision ultimately probably lies with you but there is no point explaining that to our captors. And I am sure you think our family could get out of this if we wanted and I can only promise you that we can’t. You like us probably underestimate the arrogant ignorance that pervades these people and don’t understand we’re dealing with the people who think that America killed all the monkeys in their country and the drones are listening to them sleep at night. There is no point explaining to them that we are the worst bandits to have a prisoner exchange with. This is a clear message! “The release of the couple and their children will not come into realization until all our demands are met! We advise you against any evasiveness and any attempt of provocation because this is of no benefit to you! For if you agree to our demands then we will release your citizens but if not then you will face dangerous consequences. Do not even dare to try us with our patience because we know very well how to respond to the oppressors and arrogates. It remains to be seen how US will handle attempts to recover Coleman, Boyle and children. Earlier efforts to free captives have been heavily criticised and in one incident led to the deaths of 2 prisoners held by Al Qaeda in the Indian Subcontinent (AQIS). In January 2015 aid worker Warren Weinstein (73) and Italian prisoner Giovanni Lo Porto (37) were killed in a controversial US “signature” drone strike near the Afghanistan/Pakistan border confirmed by President Barack Obama in April who accepted “full responsibility” for their deaths. “In June 2015, Lt. Col. Jason Amerine testified before Congress that the nation’s effort to recover American hostages held overseas is ‘dysfunctional’ and mired in bureaucratic red tape and failure. US did have some success in 2015 exchanging 5 Taliban prisoners, Abdul Haq Wasiq, Mullah Norullah Nori, Khairullah Khairkhwa, Mohammed Nabi and Mohammad Fazl for Bowe Bergdahl. See following report from NBC as Bergdahl takes his first steps to freedom.